A Londoner, David came to Australia 9 years ago. his background is pretty diverse. David grew up in one of North London’s tougher council estates, but also went to University with Prince William, so has experienced completely different environments. Then 4 years ago David had brain surgery following an aneurysm that also damaged his eyesight.. It completely changed the way he looked at life — he often say he was blind but now he see as he realized life is much more than what we see in front of us. All of this has really helped shape David in to who he is today. 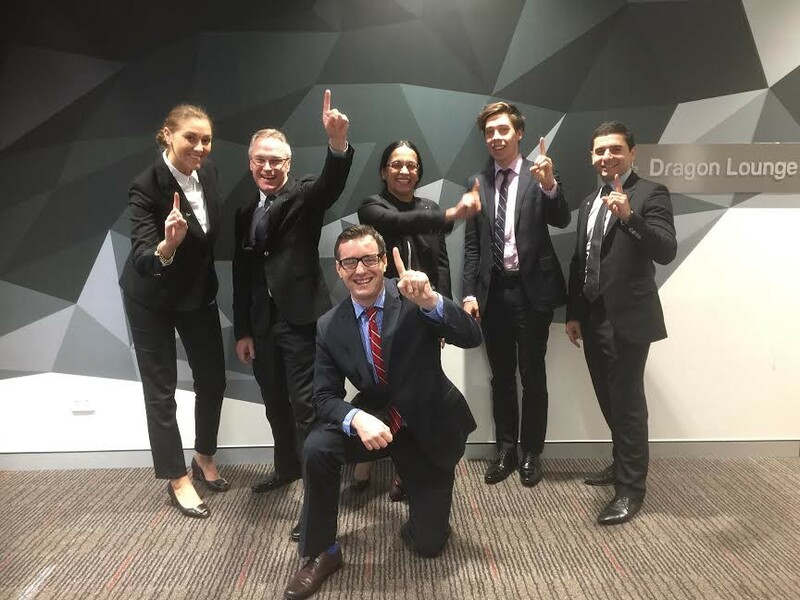 David currently lead a digital lending business for Westpac called Connect Now and his in the last year of his MBA at AGSM. In addition to this David also started The Leadership Project, an initiative to enable aspiring leaders to be able to learn, grow and have resources available to them that will ensure they are able to achieve their dreams. One of their first articles has gone viral with 230,000 views in 2 weeks! This is fantastic as it tells them their message is a powerful one — that leadership can be learnt, and is about enabling those around you to achieve great things. I’ve always had a passion for writing and leading. My public speaking has been something that’s grown over time. I’m actually an introvert in many ways, which many would never guess. My inspiration comes from my parents. My mother was an orphan at 7 from a poor background, but is an example of what hard work, resilience and integrity can deliver. She is a woman of huge values and heart. She gave up everything to give me everything. She is also a great talker, so perhaps that’s where I get my presenting ability from! My father is far more introverted, yet has an incredible work ethic and taught me at a young age the value of integrity and hard work and that family is everything. All the good I do now is thanks to my parents. My surgery also inspires and motivates me. Initially I found it difficult but my mother gave me the inspiration I needed when she told me that if I gave up now I may as well have died on the operating table. It sounds like a tough message but one that she knew would drive me to take back my life. In the last 4 years I’ve managed to secure promotions, start an MBA, get married and have a son. I was empowered to do this by all those around me. It is becoming harder and harder to stand out when building a career. Competition is strong and people are prepared to work endless hours to succeed. What I believe I’ve always had is absolute clarity and belief in what I do. I’ve always visualized what success would look like, and this definitely helped. I’m also a big fan of mid day meditation. This allows you to reset and regain clarity. In an environment where many are trying to go faster, success can emerge from slowing down. Things will go wrong. We can’t always win every day. My biggest differentiator has been my ability to never give up, my resilience. This requires an ability to understand why things happened but not to dwell on them and then understand how to ensure you get back to winning. It’s also key to ensure you retain your sense of purpose. This belief in what you are doing, and why, will be your best friend when things aren’t going well. Success is happiness. Pure and simple. I think we can get lost in the pursuit of false dreams — promotions, money, artificial goods. These rarely provide real happiness though. Success for some is being a stay at home parent, others traveling the world, and others building a career. Don’t be roped in to others definition of happiness, it’s an individual journey. If you can be anything in life, be happy. Many have a vision, but how many take the time to realize how to achieve it? How Many have absolute clarity on what this looks like. We get distracted more and more — social media, mobile phones, snap chat, you tube. We are a generation that want everything at our fingertips yet we need to learn how to manage this and focus on diverting time to where it will allow us to achieve our vision. Martin Luther King said ‘the time is always right to do what is right’. This applies to everything we do. Whether at work, with family, friends we should always be guided by our moral compass. If you enjoyed this story, hit the heart button to drive in more people to read about David’s amazing story.